Let me try to connect it with a real-life analogy, imagine in an IT company there are 10 tasks to be done, assigning 1 person 1 task will speed up the process but at the same time it will require 10 person, so a huge resource overhead, imagine what will happen if there are 1000 tasks will the company hire 1000 people. What if 5 persons could have also done the 10 tasks in similar time ie once resource got free he could have picked the next task and coincidentally this is the approach which is used in organizations for managing work. Same concept is used in thread pooling. Thread pool, means a group of thread ready to perform tasks as they come. The main USP of threads in threads pool are that threads are not destroyed but reused. Let us assume 7 tasks come up. In traditional thread model: 7 threads will be created for handling 7 tasks. Thread Pooling: Let’s assume that we created a fixed thread pool of size 3, lets call these threads A, B, C. Now task 1 comes up and A picks it, now task2 comes up while A is handling it, so task2 is assigned to B, now task3 comes and both A and B are busy so task3 is assigned to C. Now if task4 comes up at this time and if any of A, B,C are free it will be auto assigned to any of free threads , only if all threads are busy then task4 will be queued and be assigned as soon as A,B,C . Do you see how effectively thread pooling handles resource overhead. 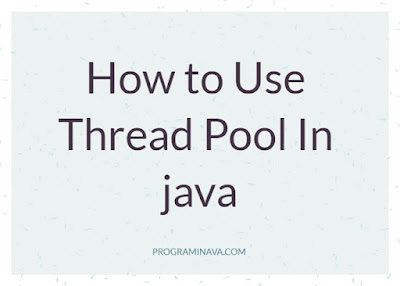 To use thread pooling in java we have to use Executor or ThreadPoolExecutor class, which are present in java.util.concurrent package. This class has 2 factory methods which are used to implement thread pooling along with some fixed configurations. The Executors class supports both Runnable and Callable interfaces. In Callable interface we return a value instead of void. The runnable tasks are submitted to the executor service using either execute() or submit() methods. The callable tasks are always submitted to the executor service using submit() method. 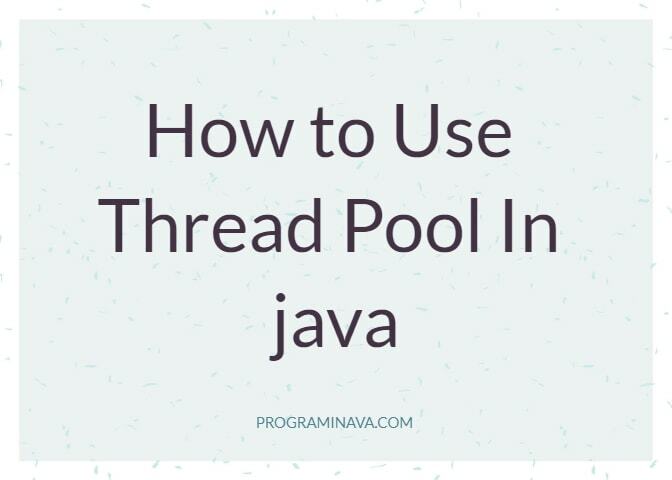 This method creates thread pool of fixed size as tasks are submitted, up to the poolSize, and then attempts to keep the pool size constant (adding new threads if a thread dies due to an unexpected Exception). If additional tasks are submitted when all threads are busy, they will wait in the queue until a thread is available. Here a fixed thread pool of max size 3 is created. It returns an object of ExecutorService. This object can then be used to implement thread pooling. Here execute method is used to run a task, by thread. Assume thread 2 gets free then it will take up 4th task. So thread in thread pool will never die it will be reused. Threads in thread pool will not be destroyed explicitly, if we want to destroy threads in thread pool explicitly then we need to use thread pool.shutdown method.It will destroy threads gracefully once all threads are idle and no task in the queue. It will terminate the threads immediately. It does not see if tasks are in queue or thread is processing a task so it does not do graceful termination. 2nd thread will be created only when 1st thread is busy in doing the task. A cached thread pool differs from fixed thread pool in 2 ways. Here if we analyse automatically 20 tasks are handled by 8 threads in pool. So 20 (traditional) vs 8 (thread pool), seems a great performance improvement here. I believe you are now able to understand the power of thread pooling. We will see more detail about ThreadPoolExecutor class and Callable interface in later posts. If you have any issue please leave us a comment.